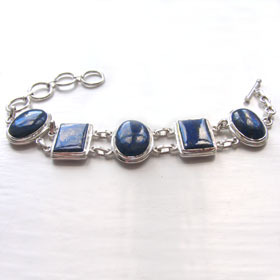 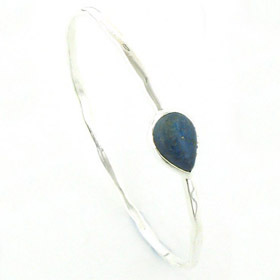 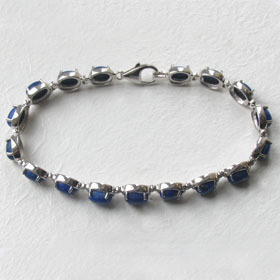 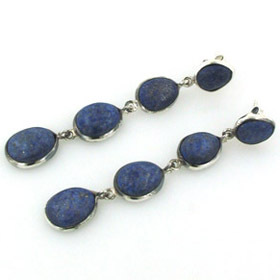 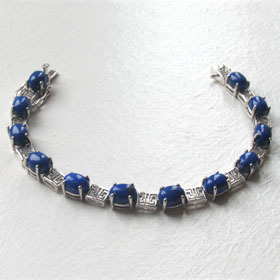 Lapis lazuli is a dense richly coloured royal blue gemstone with occasional sprinklings of gold pyrite. 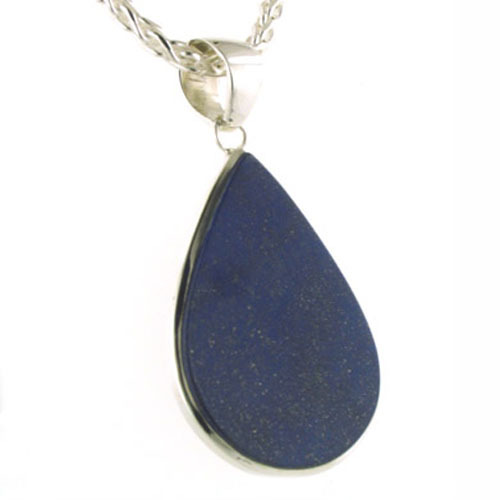 The stones are cut and polished and treated with a protective coating to prevent moisture being absorbed by the stone. 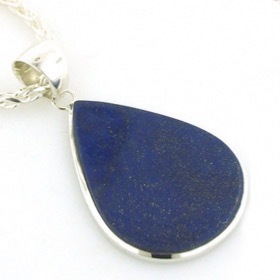 This gorgeous pendant is a beautiful shape and a gorgeous rich royal colour. 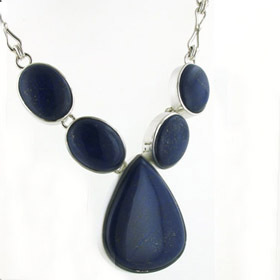 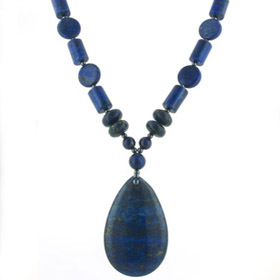 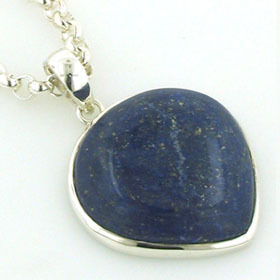 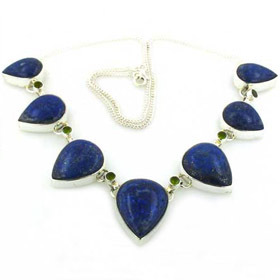 Each lapis lazuli pendant is unique. 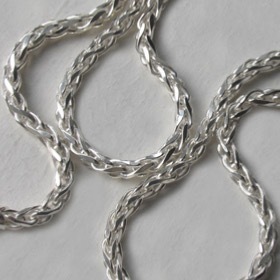 We selected our sparkly 3.5mm diamond cut silver wheat chain, but see our Italian sterling silver chains for a wide choice of chains.